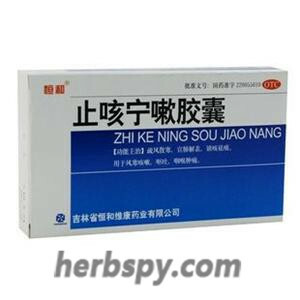 For cough due to wind-cold,vomiting, sore throat. Expelling wind and cold pathogens,freeing lung and relieving exterior syndrome,expelling phlegm to arrest coughing. Platycodon Root,Fineleaf Schizonepeta Herb,Stemona Root,Tatarian Aster Root,Willowleaf Swallowwort Rhizome,HogfenneL Root,Common Coltsfoot Flower,Ephedra,Dried Tangerine Peel,Bitter Apricot Seed,Divaricate Saposhnikovia Root. This product is capsule,the contents is brown particles;slightly sweet and bitter. For oral use after meals,4-6 capsules twice or thrice daily or by medical ordor. 2.The herbs apply to cough due to wind-cold, the performance :cough,shortness of breath, cough with thin white phlegm, often with nasal congestion, runny nose. 3.Patients with bronchiectasis, pulmonary abscess, pulmonary heart disease, and tuberculosis should be taken under the guidance of a physician. 4.Three days without any remission,should stop medication and go to hospital. 5.During the medication, if the patient appears high fever, body temperature exceeds 38 degree centigrade, or there is breathlessness or aggravation of cough, the amount of sputum significantly increased should go to the hospital. 6.Patients with high blood pressure, heart diseases take it with caution. 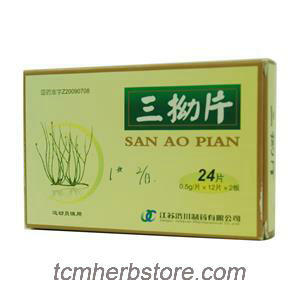 7.The product is not suitable for long-term use, children,pregnant women,feeble and weak patients should be taken under the guidance of physician. Stage Food and Drug Administration Approval number:Z20055610.